Mmm…Ice cream cone cupcakes and funfetti cookies! 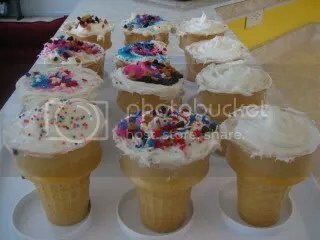 Ice cream cone cupcakes are very easy to make and so much fun to eat. 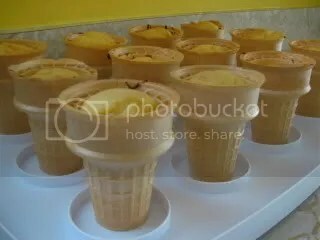 You make your cupcake batter as usual and put it in ice cream cones, filling them about 2/3 full. Bake at 350 degrees for 20 minutes or so. 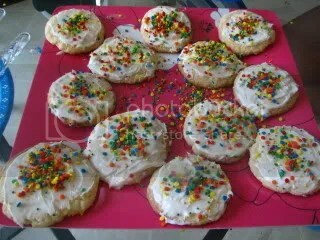 Funfetti cookies are made with Pillsbury’s Funfetti cake mix. The recipe is on the side of the box. 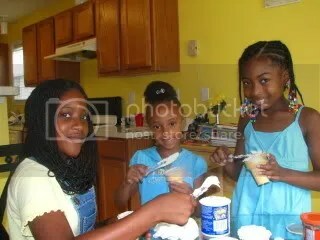 Shania, Khalia and Michaela had a great time making and decorating them… and eating them! They got very excited over the toppings and sprinkles. I’d set out mini chocolate chips, mini peanut butter chips and a variety of sprinkles. I foolishly thought they would choose one topping for each cupcake. Before it was almost too late, I realized they were putting everything on all of them! I had them stop and leave a few plain ones for the people who weren’t interested in a sugar overdose. So fun! I think my favorite part is the gorgeous little helpers 🙂 I always forget about this recipe…I think my daughter would LOVE these. those cupcake cones are so cute! 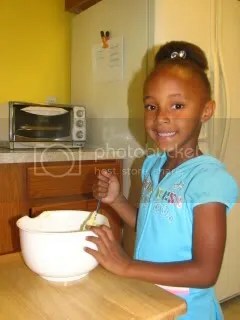 Adorable kitchen helpers you have! 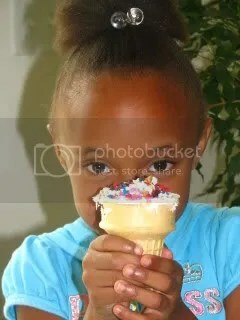 I’ve always liked the idea of ice cream cone cupcakes – so cleaver! Ohmygoodness! I used to make those when I was little. 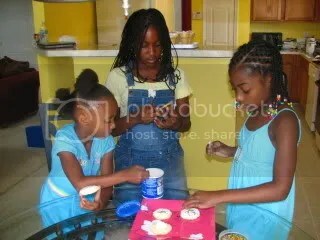 They were a must take to birthday parties. You just made my day! !